Quoted from Pasificpos, Vice Bupati (Wabup) Jayapura, Giri Wijayantoro opened a day-long Workshop with theme, "Diversity", with Sub Theme, Caring for Diversity Toward New Jayapura. The Diversity Workshop, organized by the Territorial Leadership Council (DPT) of the Youth Unite of the People (Ampera) of Jayapura District, took place in Multi Purpose (GSG) Women-Thabita Building, Sentani City, Sentani District, Jayapura Regency, Wednesday (28/2/18 ) Also attended by all organization of pemudaaan and element of Forkompimda of Jayapura Regency. 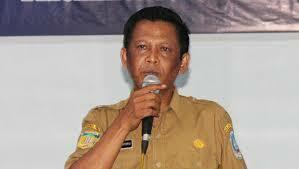 "We have planned this Jayapura District as a zone of integrity of religious harmony. So, this should be the basis for the young generation to continue to maintain and also maintain harmony in diversity in every activity that we will do, "said Vice Regent (Wabup) Jayapura Giri Wijayantoro in his speech, at the opening of One Day Workshop on Diversity, Wednesday 28/2/18). Wabup Giri continued, this moral degradation that must be lifted by the current young generation. "We remain alive and keep our values ​​of harmony together in diversity without distinction of ethnicity, religion and race," said the man who is also Chairman of DPD Party NasDem District Jayapura this. "Indeed our soul is a nationalist spirit, and an independent soul. So, our greetings are greetings 'Merdeka' which is the National greeting. So we have to understand that. So, we must awaken national degradation nationally, so as not to experience a prolonged degradation. Well, that nationalism must really exist as a characteristic of the nation, which does not question differences in religion and ethnicity and race, "he continued. It is said Wabup Giri, the existence of youth components and young people today should not be a burden for anyone. But, must be a pioneer and also the main actors in every activity and other general activities. "So, we should not be constantly on our hands and then expect something better without trying. Because this area is not like the past time. Development is also ongoing and many people come out and come in from here. So the youth should be more active and keep advancing in the face of every challenge that will come, "he hoped asserted.